Say goodbye to pigmentation, dark circles and uneven skin tone – in your lunch break! Imagine breaking away from your daily makeup routine and facing each day with naturally radiant skin. Pico GenesisTM laser offers a lasting solution to everyday skin concerns— and a more confident you! 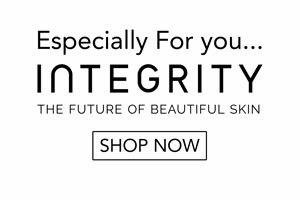 Pico GenesisTM is a breakthrough, 2-in-1 laser procedure that targets pigmentation providing you with a dramatic reduction in pigmentation and an increase in uniformity in skin tone. The unique feature of the Pico GenesisTM laser is its ability to provide ultra-short laser pulses. These laser pulses deliver a photo-mechanical shockwave that not only shatters the pigment but stimulates remodelling in the upper layers of the skin to safely achieve dramatic improvements with fewer procedures. Both men and women report dramatic improvements in skin clarity and reduction in pigmentation in 2-3 procedures, depending on your skin condition. A series of two to three Pico GenesisTM laser procedures are recommended to achieve an optimal outcome, and ongoing maintenance procedures are encouraged to sustain results over time. We will discuss a personalised plan during your consultation. What areas can be treated with Pico GenesisTM Laser? Pico GenesisTM laser procedures are ideal for the face, hands, backs and other areas of the body with noticeable signs of sun damage and excess pigmentation. Prior to your procedure, we will clean the area. You will feel the tip of the laser device touch your skin. As the laser energy is applied, you’ll feel a sensation that patients often compare to a electric rain sensation. Most patients do not find the procedure uncomfortable. Keep the treated area out of the sun and apply sunscreen for protection. We will recommend additional follow-up care depending on your condition. Who can be treated by the Pico Laser Genesis? The good news is, Pico GenesisTM laser is designed for ALL skin types – even darker and Asian skin tones which have proven hard to treat with other lasers due to higher risk of post inflammatory responses including hyper-pigmentation, hypo-pigmentation, or rebound pigmentation post-procedure. The Pico GenesisTM laser is highly recommended for those who are just starting to show the signs of ageing or pigmentation as well as those who suffer from significant pigmentation. This technology has been designed to give clients who have experience negative or unsatisfactory results from inferior lasers, the results they truly desire. Although you may experience mild redness and swelling for a few hours following the Pico GenesisTM laser, you can expect to return to your regular activities immediately following the procedure.